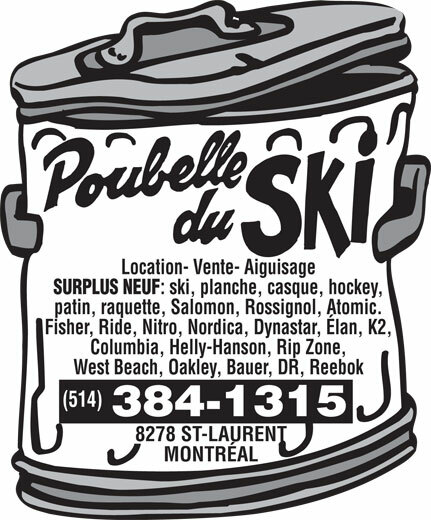 PLEASE NOTE: We no longer have a deal with Poubelle du Ski, however we still recommend you go to them for rental equipment. They still have the cheapest equipment around to rent! Free equipment insurance -> It doesn't matter if you break the skis, they will be replaced free of charge. If you like the equipment you rent during the year you can use the $180 or $200 you spent on the package towards buying the skis permanently. In October they are closed Mondays and Tuesdays and in November they are closed Mondays. Be sure to take advantage of this great deal!